Cornell is one of the top research institutions in the world and the Office of the Vice Provost for Research helps to advance and support the university’s cutting-edge research and technology. We work with the office on their communication materials including magazines, directories, annual reports, websites, and more. 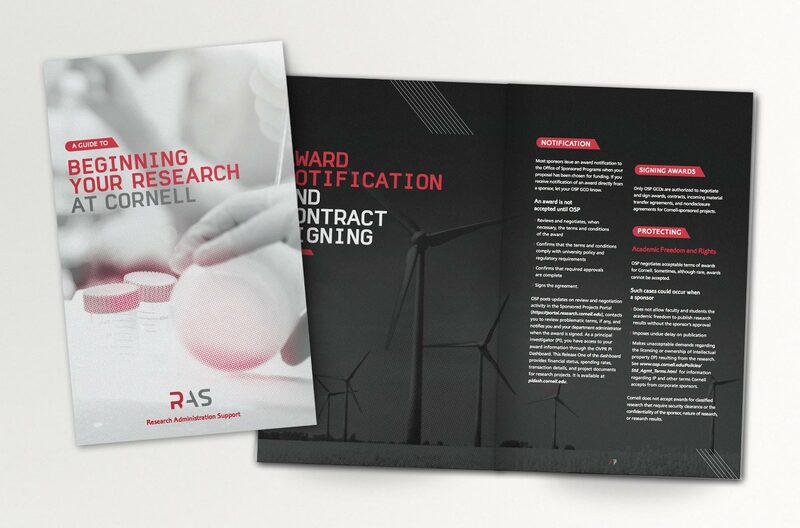 Details / Cornell Research begins a new phase in their messaging which emphasizes the talent and collaboration of the university’s researchers. Details / The companion site to the printed publication allows the office to reach a broader audience. Details / The Office of Undergraduate Research came to us looking to produce a modern site that would be highly accessible to their undergraduate student audience and provide a rich content experience including student videos, profiles, research opportunities, news feeds, resources, and more. 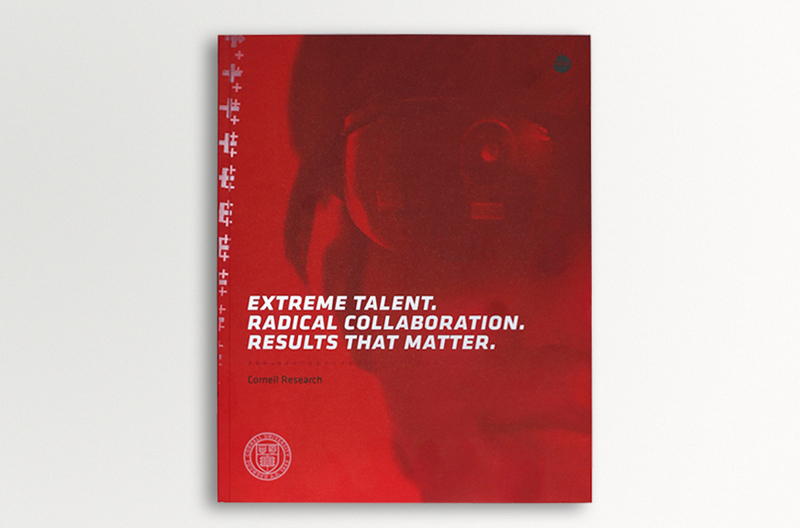 Details / Connecting with Cornell is a key piece produced by the university that tells the stories about current, cutting-edge research being performed by faculty members, students, and businesses that use Cornell’s research technology. 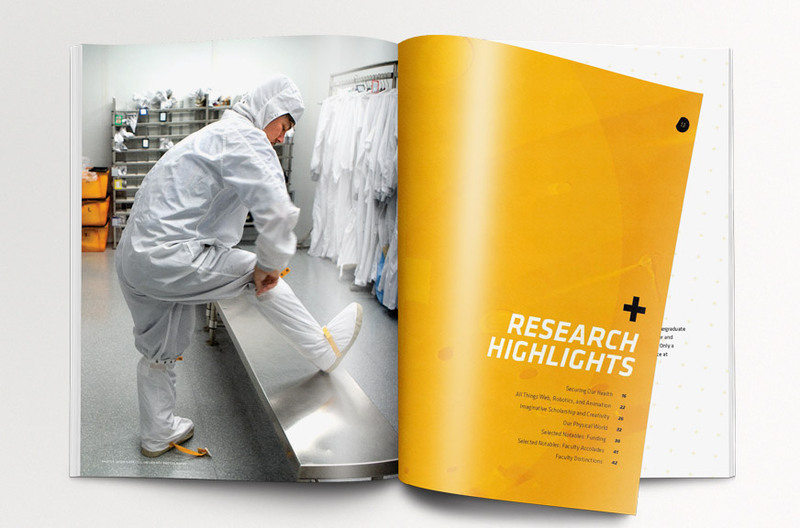 The design for this large publication, produced several times a year, evokes a scientific feel in a modern way using bold color, a clean layout, and strong photography. Connecting with Cornell is an FSC certified publication. Details / We produce a website with each issue of Connecting with Cornell that acts as a companion to the printed publication. Details / A dynamic new informational guide for faculty beginning their research at Cornell. 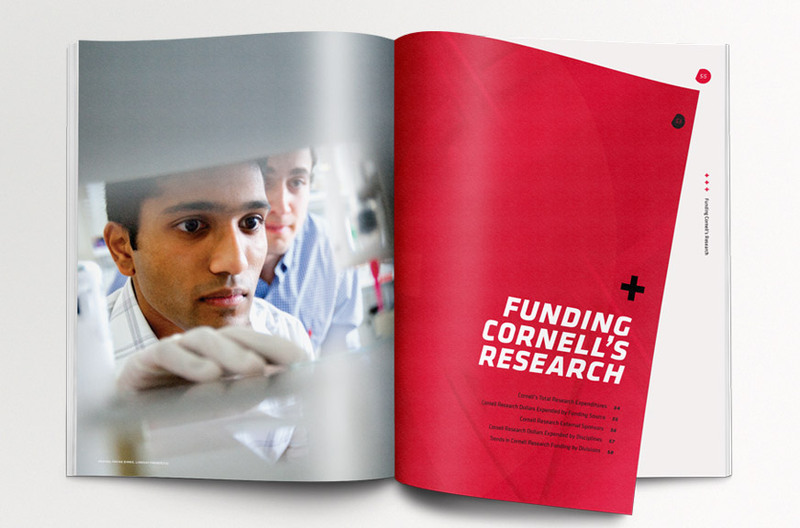 Details / This brochure highlights the cutting-edge work coming from Cornell’s leading researchers in the life sciences. Details / This useful guide is used by a broad audience, from faculty and small business owners, to large corporations and government agencies. It highlights the numerous business locally and worldwide that have a connection to the university and use Cornell technology. The guide combines a comfortable, friendly feel with a design that compliments the scientific nature of the companies it promotes. Details / A content-managed companion website to the printed directory that highlights the very latest news and company information. This useful tool allows users to view all companies that utilize Cornell technology by region, business sector, and association. Details / The Annual Report outlines research expenditures made by the university along with university rankings, current research taking place, faculty books, awards, and more. Details / This Office of the Vice Provost for Research honors distinguished faculty members each year with an event highlighting the excellence they have demonstrated in their individual fields of interest.